As the owner of Pixelchrome, Inc Jeremy has enjoyed a roller coaster ride pursuing the American Dream. Since his early days as a graphic designer, his dream was to become a stock photographer. Riding the wave of the internet revolution in the mid 90s, he got involved with Getty Images and went on to build a successful business traveling the world and taking stock pictures. By 2005, he had started collaborating with nature photographer Nancy Rotenberg, and was instrumental in setting up frequent international trips to Italy and to Mexico. He went on to lead trips to Guatemala and Costa Rica. As the developer of the Dreamteam photo tour concept, recent collaborations have included tours to Mexico, Guatemala and Colombia with co-leaders Nevada Wier, Brenda Tharp, photojournalist Alison Wright and Guatemalan-born Holly Wilmeth. The years 2013 and 2014 were his busiest years so far with 25 completed international trips and 2015 is proving to be the same with sold out tours for most of the year. Jeremy used to describe himself as a nature and outdoor photographer, but since necessity is the mother of invention, he has re-branded himself several times over the past decade. He has travelled widely photographing many of the world’s most important city skylines. 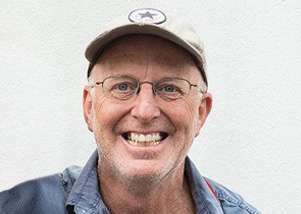 In 2006 he became part-owner of a Lifestyle Stock Photography Company, Blend Images, and now he is indulging his passion of photographing people in developing nations. At least once a year he makes a nature trip and that is usually with a group to photograph wildlife in the wintery wilds of Japan.